Get an instant quote and book your transfer to Val Thorens from Geneva, Lyon, Grenoble and Chambery airport. As well as airport transfers from Chambery, Grenoble, Lyon and Geneva Airport to Val Thorens, Ski-Lifts also operate transfers from nearby Moutiers train station. Choose from transfers to suit all budgets, from; scheduled shuttles, private and coach transfers. Remember to use your loyalty points for a discount on your next transfer! Getting an airport transfer to Val Thorens could not be more simple with Ski-Lifts. You will have peace of mind that your driver will be waiting for you the moment you step off the plane, ready to take you to Val Thorens. Ski-Lifts offer the best value transfers to Val Thorens and the surrounding resorts. 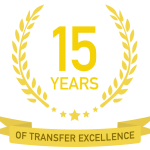 We provide a number of different transfer types to suit all budgets. Our budget option is our scheduled shuttle service. This service differs from our other transfers as it is not a door-to-door transfer. However, you still receive the same friendly and reliable service as you would on our other transfers. For those on a budget, this transfer is a great option. Book our scheduled shuttle service to and from Val Thorens from Geneva, running every Saturday & Sunday throughout the season. We also provide our regular selection of transfers to Val Thorens from Geneva, including; private transfers, executive transfers, limousine transfers and coach transfers for those travelling in large groups. Use the quote generator above to get a price and then book your transfer online in a matter of minutes. Your happiness is our #1 priority. That’s why we offer the best customer service of any transfer provider. When you book your transfer with Ski-Lifts, you can be safe in the knowledge that you have someone to contact 24/7 for any transfer related enquiries. Transfers from Geneva Airport to Val Thorens usually take around 2 hours 30 minutes, however, at peak times these transfers can take slightly longer. – Using the above quote generator, you can easily make your booking online. This takes a few minutes and once you have paid for your booking using PayPal or your credit/debit card you will receive instant confirmation by email. You can then relax and look forward to your trip to Val Thorens, being safe in the knowledge that your driver will be waiting for you at the airport when you land. – For your return journey, we will send you a text message the afternoon before you are due to depart confirming your exact pickup time from your accommodation for your transfer from Val Thorens to the airport. 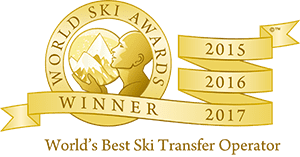 We hope the above information has answered any questions you may have about your Val Thorens transfer, but if you do need any additional information, feel free to contact us. You can also find additional information on how to get to Val Thorens here. When you land in Geneva Airport, please make your way into the arrivals hall and to our permanent desk, where you will be met by your driver or one of our representatives. Geneva to Val Thorens transfers usually take around 2 hours 30 minutes. However, during peak periods, the transfer can take slightly longer. If you’re travelling to Val Thorens on a scheduled shuttle, please make sure you give yourself enough time to collect your luggage and leave the airport. If you’re travelling on a private transfer, you can sit back, relax and enjoy the ride until you arrive at your accommodation. If you’re bringing your own skis, don’t forget that you can bring them on your transfer for free of charge, they are included in the price of the transfer, along with 1 item of hold luggage. Val Thorens is the highest ski resort in Europe and part of the infamous Three Valleys ski area. With 600km of pistes, the highest lift at 3230m, its great snow record and well-linked lift system the Three Valleys is a must-visit destination for any ski and snowboard enthusiast. A 3 Vallees ski pass covers the entire Three Valleys ski area. Covering resorts such as; Val Thorens, Méribel, La Tania, Courchevel and more. A Three Valleys ski pass will give you access to more than 600km of runs, including; 30 black, 108 red, 129 blue and 51 green runs. Val Thorens itself is a purpose-built resort in the Belleville valley situated above the resorts of Les Menuires and St Martin De Belleville, its high altitude guarantees a longer season than many places. On a beautiful day, the positioning of Val Thorens offers an unbeatable winter panorama. However, when the weather closes in on Val Thorens, way above the treeline, it can feel similar to an arctic expedition. Val Thorens’ high altitude ensures that doorstep skiing and snowboarding with guaranteed snow is possible from November all the way to May. Val Thorens is a charming and sophisticated resort. The resorts increasingly wealthy and discerning clientele ensures the resort is filled with some of the highest end hotels and gastro restaurants in the Alps. The resort has also managed to keep its appeal to the young crowd without huge amounts of disposable income. Val Thorens is home to a broad range of over 60 restaurants, including numerous unparalleled fine dining establishments. The nightlife in Val Thorens will keep you entertained during non-skiing hours, with a young and vibrant scene. Val Thorens is home to a wide range of accommodation to suit most budgets. The hotels throughout this resort abide by the highest standards, including four 5-stars. Val Thorens is home to ski schools to suit everyone, whatever their profile or snow sport. Ski schools in Val Thorens are available for individual tuition or group lessons, it’s totally up to you! Get excellent rates on ski and snowboard hire in Val Thorens.